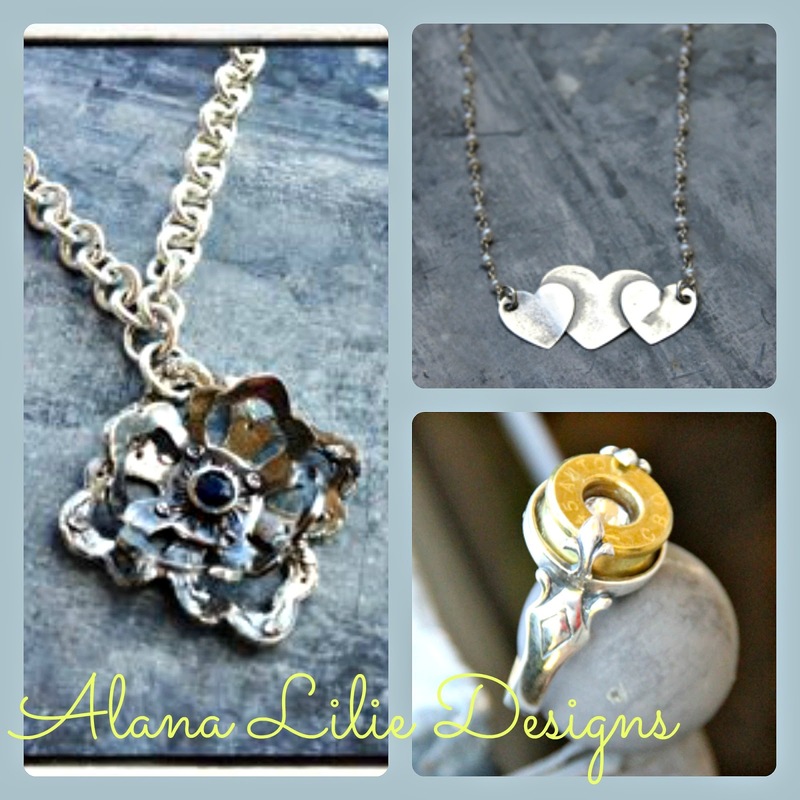 theFoodette & Family: Alana Lilie Designs GIVEAWAY! My June sponsor is giving away a $25 gift certificate! My name is Alana Lilie and I have lived in Austin, Texas most of my life. I am married and have two beautiful daughters named Anna & Ginger. After the birth of my daughter Anna, I had to return to teaching. I wanted to carry a piece of Anna with me, so I made a photo charm so that I could wear her picture around my neck. Every time I wore the charm, I would get so many compliments and lots of "where did you get this?" reactions. When I told the person I had made it, they would request that I make one for them too! With that...Voila!... Alana Lilie Designs was born! I have now ventured into making my own designs in .999 silver. I remember being very young and thinking, "I could make that!" when I would see a cool friendship bracelet I liked, or a beaded necklace/bracelet, photo charms, and now more recently .999 pure silver precious metal clay designs. Through lots of research, and lots of failed attempts before I actually have a product I am happy to share with my customers. I am proud to say I hand craft every piece of jewelry myself and take great pride in being a self taught jewelry designer. If you're looking for something pretty for your best gal-pal, mother, or sister, Alana Lilie Designs is sure to have something that they all will love! Or, shoot, get yourself something pretty, you deserve it! Want to sponsor Adventures in my Kitchen and do a fun giveaway or a sweet guest post?? Click on the "Contact Me" tab above! I'd love to have you! I really like the Handprint charms! 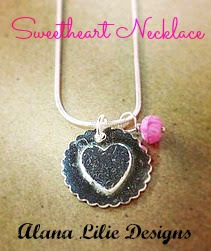 Or the Hugs and kisses necklace! So great that they are simple and elegant! I like the nesting and sweetheart necklace! Love the wax stamp letter charm necklace. Too cute!